With the heavy cruiser market sagging, it’s a model that could be a game-changer for Indian – the flat track-inspired FTR 1200. 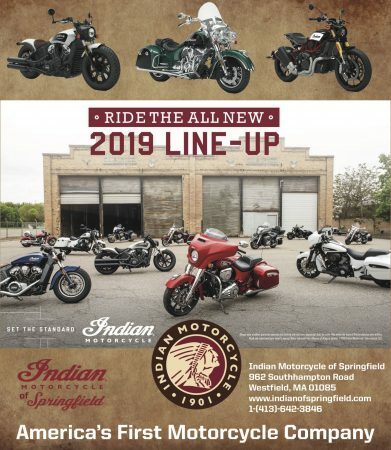 The new 2019 model isn’t due in dealerships for at least another couple of months, but Indian is making some examples available to dealerships in southern New England for brief periods to show off to riders. 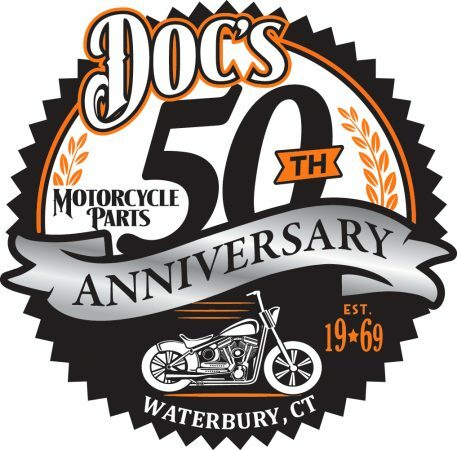 Indian Motorcycle of Springfield in Westfield, MA will have two FTR 1200 S models on display from 9 a.m. to 6 p.m. Friday and Saturday and from 11 a.m. to 4 p.m. on Sunday, while Brookfield Indian Motorcycle in Connecticut will be presenting the model from 5 to 8 p.m. Monday and from 10 a.m. to 8 p.m. Tuesday. Eric Gaulin, operations manager of Brookfield Indian Motorcycle, concurred. “It’s a whole new segment that’s opened up. It hopefully gets us to a younger demographic,” he said. That isn’t necessary the case with existing Indian models. 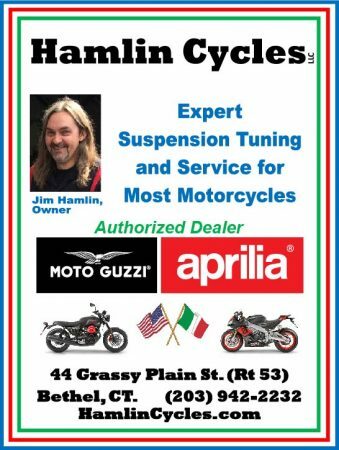 “They go to Harley-Davidson and don’t see what they like. They go to Indian and don’t see what they like,” Bolduc said of the younger demos. 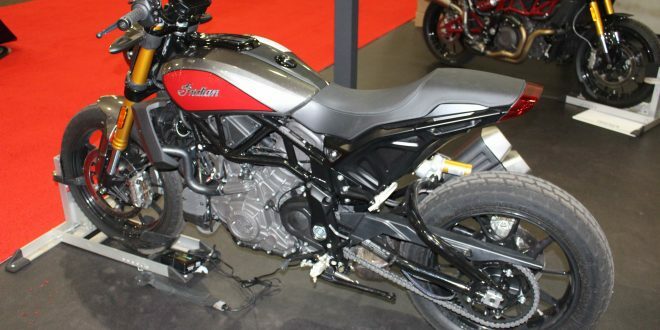 Whereas the big Indian cruisers take customers away from Harley-Davidson, Gaulin sees the FTR 1200 as luring buyers who might have otherwise leaned toward Triumph or Ducati. The FTR 1200 will undoubtably change the aesthetics of the showroom floor. 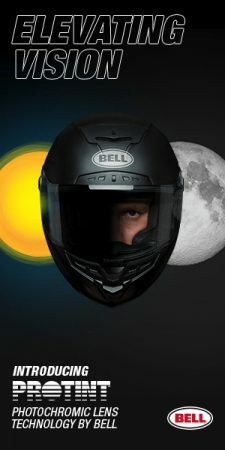 “It’s selling to a wider variety (of customer),” Bolduc said, while acknowledging that he has taken an order for an FTR 1200 from a rider in his mid-70s. 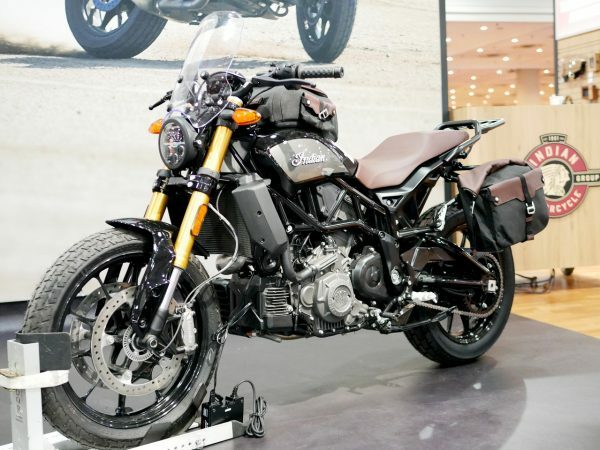 The FTR 1200 and FTR 1200 S have MSRPs of $12,999 and $14,999, respectively, and are powered by a new 1,203cc V-twin engine with approximately 120 horsepower. 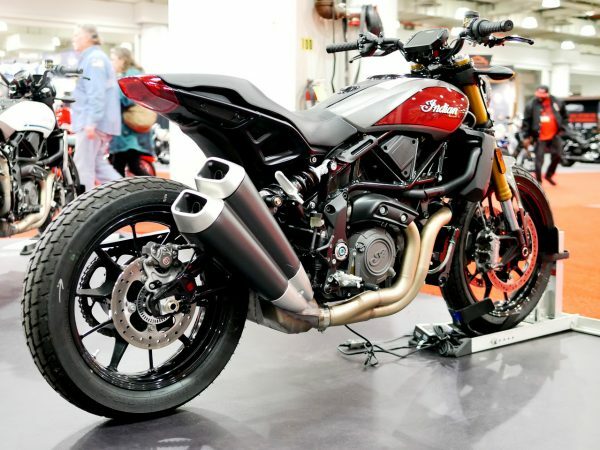 They use a trellis frame and feature an inverted fork front suspension. The fuel tank is housed under the seat with the air box positioned above the engine. 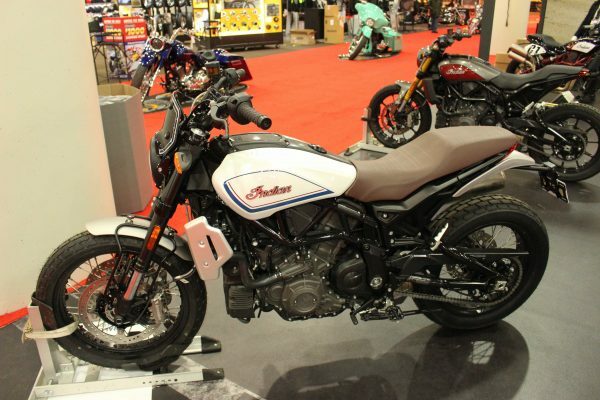 Brookfield Indian Motorcycle is normally closed on Mondays but will open this coming Monday evening to showcase the FTR 1200.